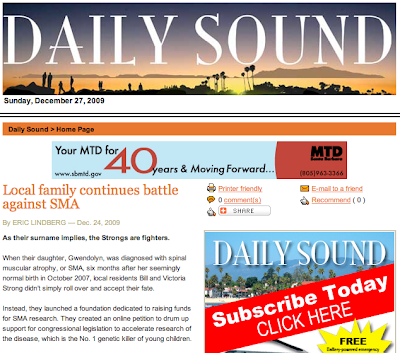 Check out SMAHeadlines.com | SMA news in one place. 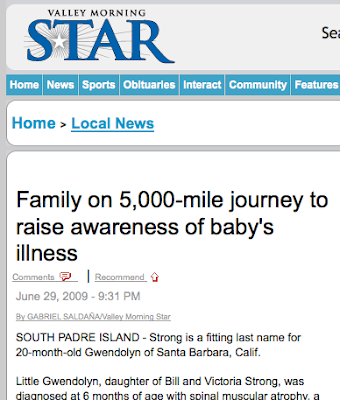 A few months ago the Gwendolyn Strong Foundation (GSF) launched an extremely simple project. It's called SMAHeadlines.com and that's exactly what it is. 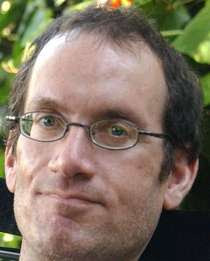 Spinal muscular atrophy (SMA) news from across the globe organized and shared from one website. 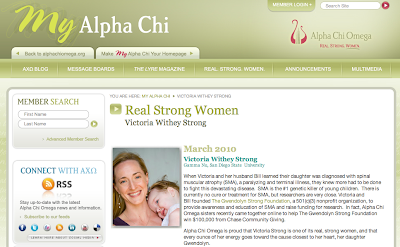 Victoria Selected As Alpha Chi Omega's "Real Strong Woman"
Victoria was honored and humbled to be selected as Alpha Chi Omega's March 2010 "Real Strong Woman". Check out the great feature that is currently running on the Alpha Chi Omega homepage!